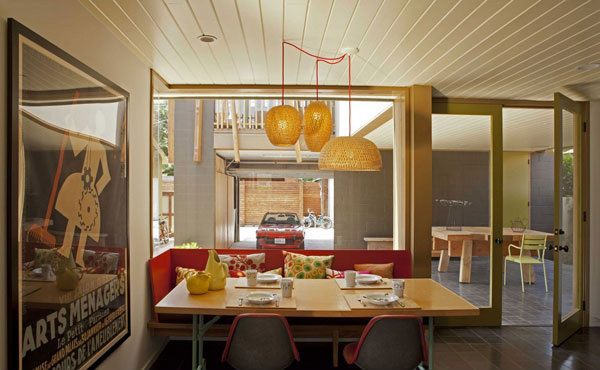 With an area of 2,200 square feet this house is completed on 2012 in Venice California USA. The exterior and interior of today’s featured house is remodeled and originally a single family home with its adjacent yard. This house has two floors and each floors offers the most unique and comfortable space in the house. 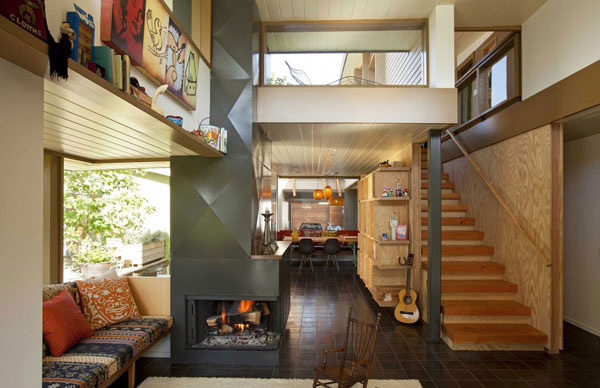 The first level is composed of the living area, kitchen, powder room, outdoor and garage. While the master suite, family room or the office, two children’s bedroom, children’s bath and the utility room is found in the second floor. It is originally built in the year 1920s with a 600 square feet area only and was renovated by a couple architects in 1996 when they added the second floor. And last year, the architect added a second lot, reconfiguration of public and private areas together with the new garage design and the master suite. 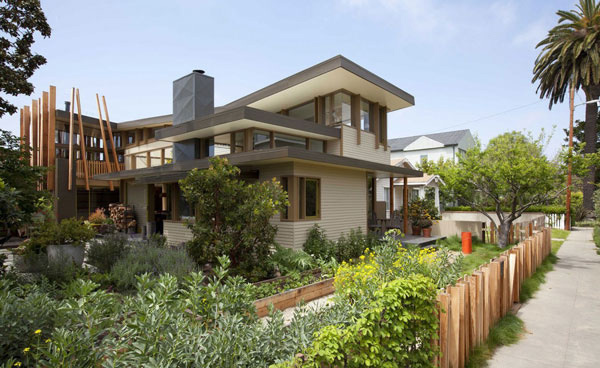 Moreover, the front volume of the house maintains the refined lap siding as a sign of the bungalow style of the original house. 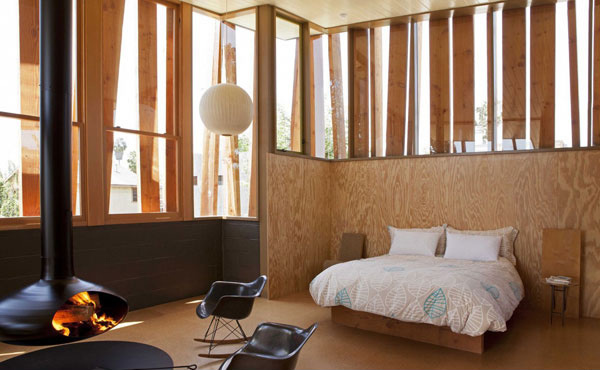 The architect added the vertical wood framing that serves as sunshades to the glass master bedroom. As you enter the house, you will immediately see the incredible lighting materials used here together with the window walls that faces the exterior. 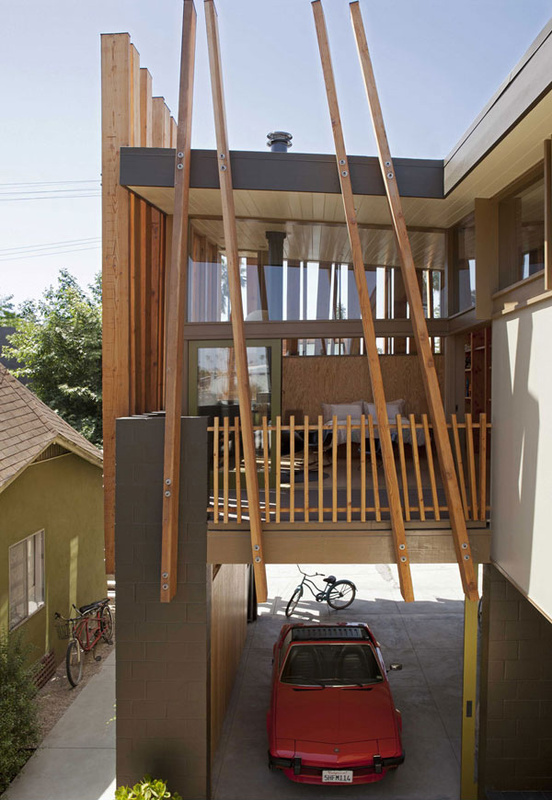 Also there are clerestory windows that express the changing levels of this house. 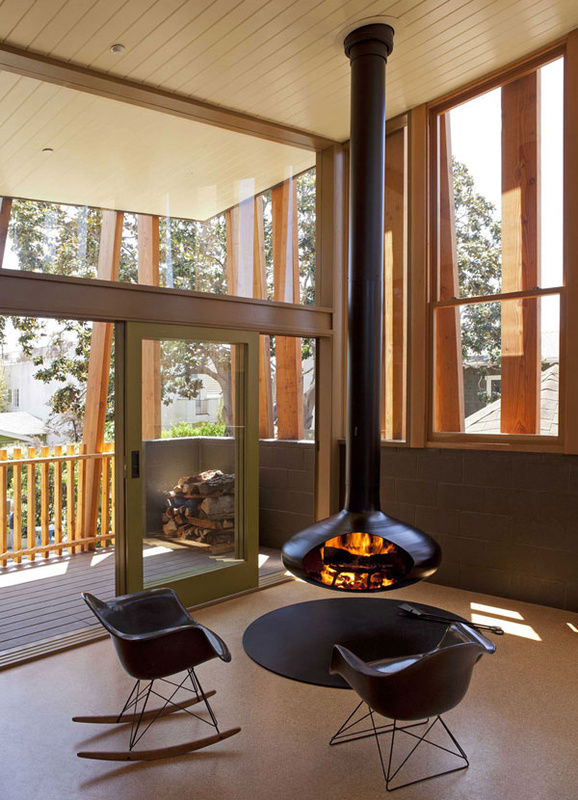 Now let’s take a look at the interior and exterior of this Remodeled Smith-Clementi Residence and see how the architects were able to define the relationship between the elements of wood and glass materials used here. Notice how the designer makes much of his ideas to utilize the green plants in the surroundings that add more life to this building. The “walk street” in the exterior of this house is underline here. See how this wooden material adds another element in the second level of the house where it also protects the glass window in the bedroom. 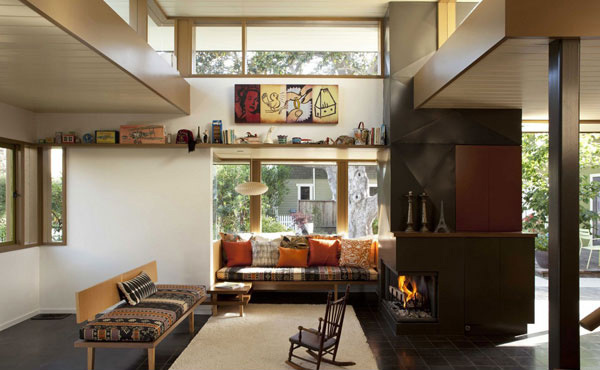 The combination of different materials and color are used in this living room so to make this more comfortable. Different elements of art as well as texture are well displayed in the first level of the house. 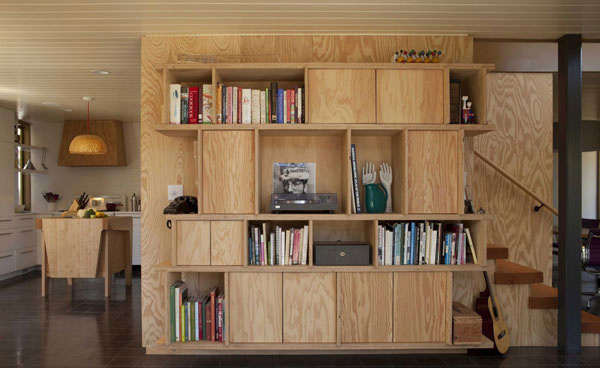 This may be a simple shelf but you may see the movements of the lines in each partition. This dining area is one of the best parts of the interior where the traditional furniture are mixed with the modern accessories. 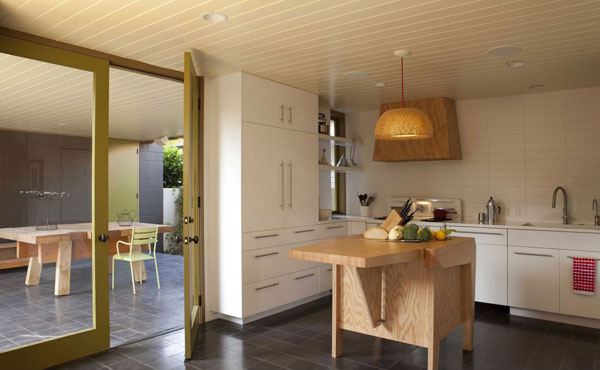 Here is the small kitchen but this is enough to display the simple and plain kitchen. The white mattress in the bed creates a contrast to the texture of the walls and floors. 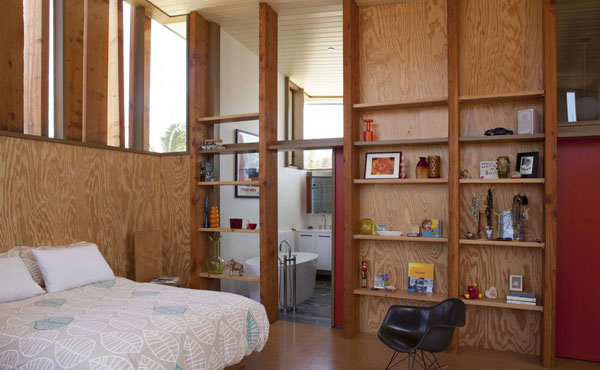 Built in shelves are utilized in this bedroom to maximize the available space here. This is the best spot in the house where the couple can sit down and take the full advantage of the customized and modern furniture. 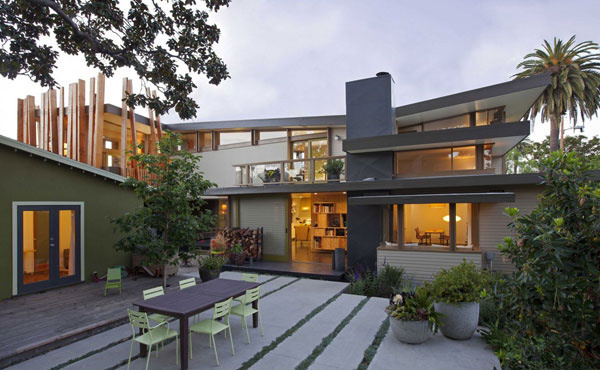 In the exterior, the green plants as well as the tall trees made sure of the fresh air that is a great source of proper ventilation in the house. 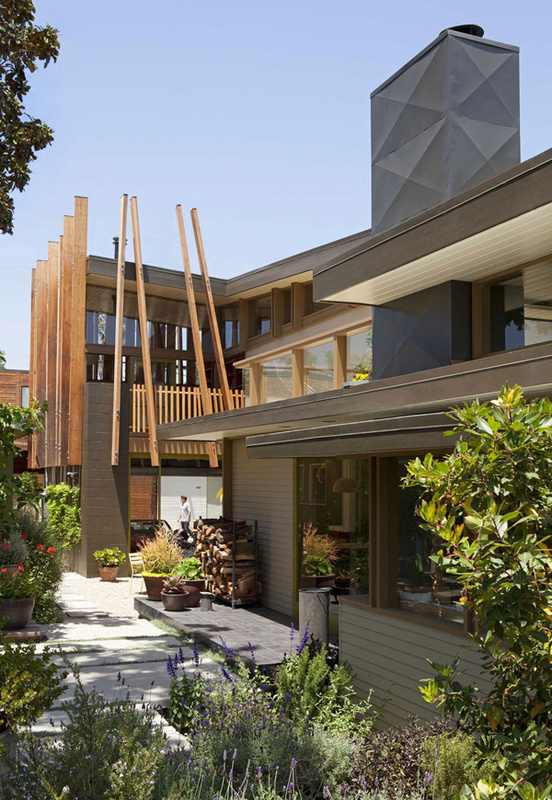 Cantilevered volumes of the edifice are highlighted in this area where you can see how the designer carefully adds the other interior in this house. In the other side of this bedroom you may see that the study area is utilized below this bedroom. 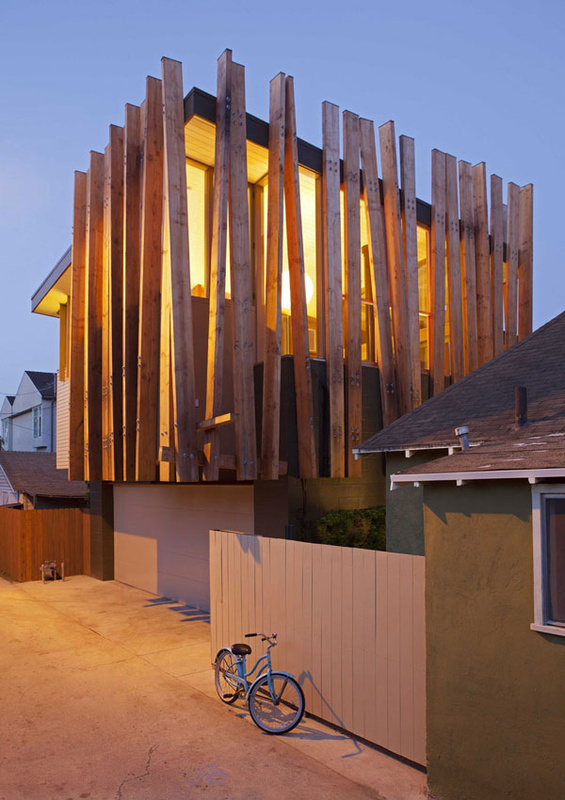 At night, the wooden materials are observed in this building that featured the remodeled factor of this house. 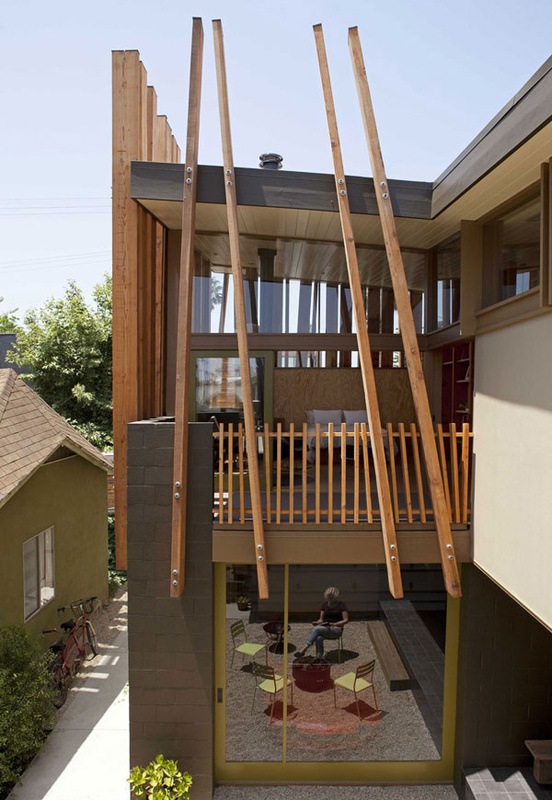 The owner of this house obtained the neighboring lot to sustain its open layout plan. This provides a great relationship to the exterior. The old Magnolia Grande flora tree in the exterior created short vistas with long diagonals that are capable of allowing the natural light and air in the house. The architect made use of the growing vegetable which is placed along the walk street. 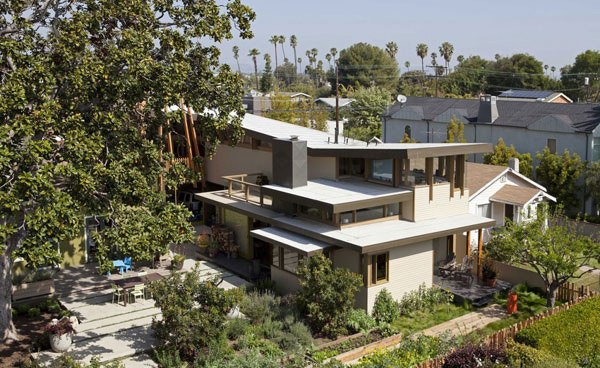 Then we can say that the Rios Clementi Hale Studios was successfully achieving its goal in remodeling this house. Well we hope that you have learned new ideas today.